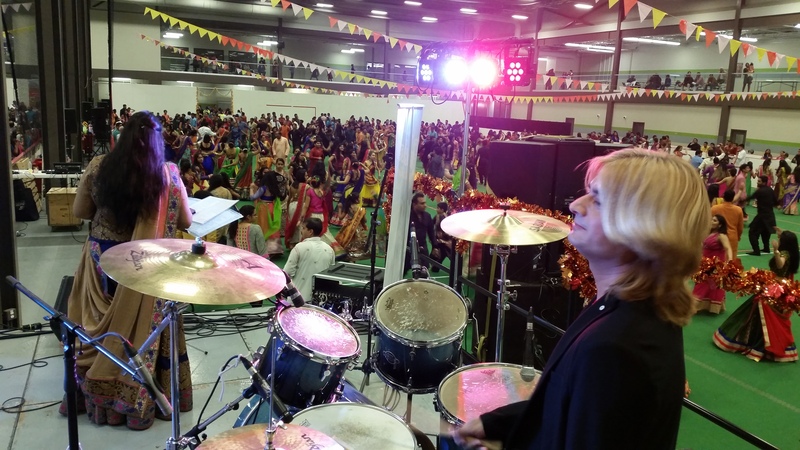 Every year we help to facilitate the nine day Hindu festival Navratri where this year literally thousands of people gathered to celebrate the goddess Durga at the Genesis Centre. 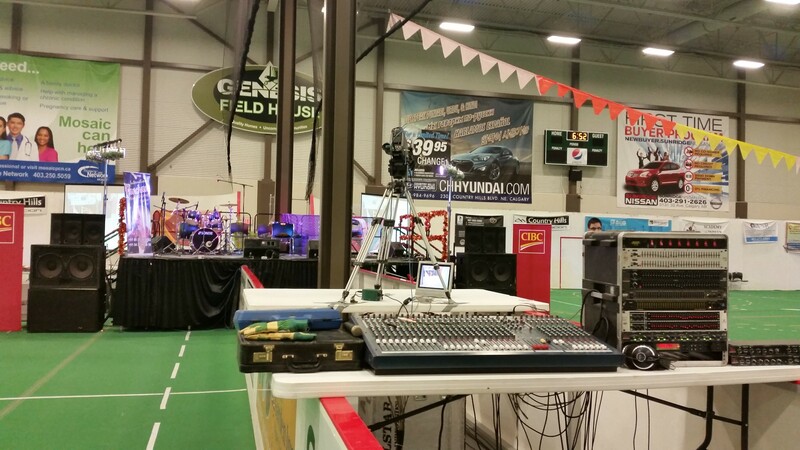 We set up 4 Meyer 650 dual 18″ sub woofers topped with three QSC KW 153 a side as well as eight powered 2-way speakers to fill out the centre of the two indoor soccer fields. 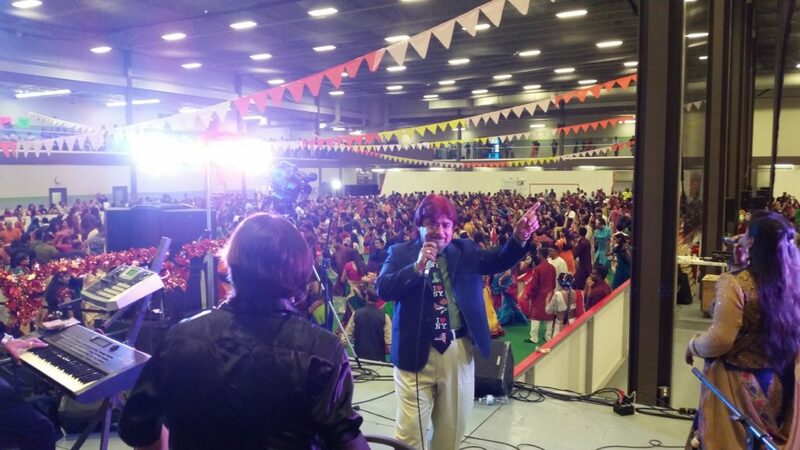 The band from India performed for over four hours on four separate nights with few breaks, and smoothly transitioned between traditional songs throughout. One challenge was to bring the clarity out in the mix since the space was so large, hollow and reflective. To do this we used multiple point source speakers and delayed them so they were all in sync. Then we brightened up the highs a bit as the genre demanded. 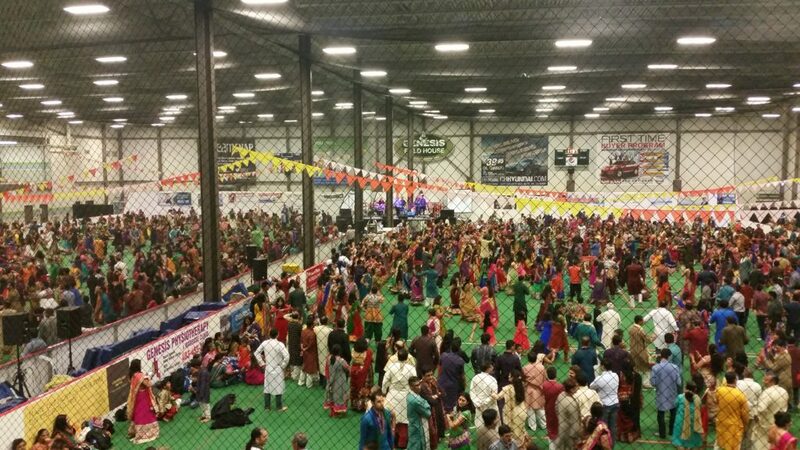 Ideally a line array would be suitable for this scenario but sometimes budget and venue limitations (no possible hang points) need to be taken into consideration.